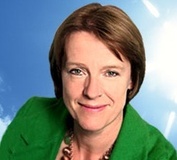 Caroline Spelman MP is Chairman of the Conservative Party. In this article she responds to ConservativeHome’s concerns at CCHQ’s financial strategy. In the current economic climate, any responsible organisation, particularly one that asks the public for donations, has a duty to look at where it can tighten its spending belt. Undeniably that’s always going to be painful for the people who are caught up in the process and it would be entirely wrong of anyone to suppose that the changes we are making at CCHQ are a personal reflection on any individual. In fact, it is the dedication, commitment and diligence of our staff that makes these changes so difficult, but the truth is that these changes have to be made. They are about making sure the resources entrusted to us by all those people who are desperate for a change in government are used to maximum effect when it comes to winning the next general election. As such, they form part of a series of measures implemented by David Cameron since he became leader, to put in place the structure to ensure that CCHQ is fully focussed on fighting and winning the next election. If we want to form the next Government, we need to lead by example and unlike Labour our first priority has been to get our finances in order. When David Cameron became leader, the party’s debt was £20 million. That debt has now been reduced to £8 million and the party is actually running responsible budget surpluses – £4.2 million in 2006 and £1.6 million in 2007. We have also ensured that we have a broad base of donors to the party. donor gave more than £250,000. Equally, while Labour’s donations came from just 77 donors, ours came from 260 different private individuals and companies. campaign centre is operational in the Midlands. plays a crucial role in informing prospective voters. The fruits of these changes are being seen in our electoral successes. something the Party values beyond measure.